There are plenty of reasons why you need a set of new tyres. When it comes to riding comfort and road safety, a new car tyres can make a world of difference. Selecting the right tyres and maintaining them well can also improve fuel economy, better handling, and save you money. You also don't want to invalidate your insurance when driving with worn out tyres. The rule is, if you have a treading of less than 1.6mm, then it's time to get new ones. Knowing the right sizes of car tyres may seem complicated at first with all those numbers you see on the tyre. If in doubt, consult the manual and leaf through the tyres section to find the correct sizes. You don't have to buy the same brand as the original tyres they were fitted with for as long as you have the same sizes. Ask a trusted mechanic or garage to recommend the right sizes. Depending on how much you drive in a year and the conditions you are driving in, you can go for a set of new tyres that are sturdy, but with less performance giving good value for your money. If living in an area where the chances of snowfall and ice are high, then it's best to change your tyres when temperatures start to go under zero. Most people get tyres adapted to weather conditions: winter tyres for snow, ice and all-weather tyres in the summer for wet conditions. Etyres.co.uk is a popular online retailer for new tyres in the UK selling all brands of tyres for all makes of vehicles. 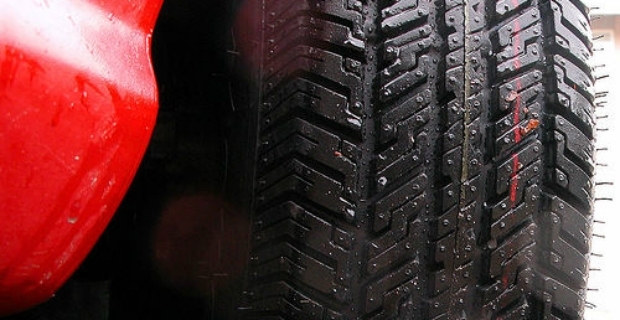 Choose from all-weather to eco-tyres and have them fitted convenient to where you are located. Black Circles (blackcircles.com) is another car tyre retailer. A great advantage is that they offer full car tyre servicing at a car dealer nearest to you making sure that your tyres are properly aligned and balanced. Choose from mail order or fitted tyres at your convenience. Apart from knowing the right size of tyres for your cars either on the tyre itself or on the servicing book, consider these factors when purchasing sets of new tyres: fuel efficiency, noise levels, and road grip. Definitely, it is not easy to decide with over 300 brands of tyres to choose from in the UK. In compliance with the new EU directive on labelling which requires manufacturers to label tyres they sell, it should become easier to pick your tyres. Similar to labels you find on appliances for energy consumption and eco-friendliness, new car tyres will carry the same labelling standards based on fuel efficiency, noise levels, and wet grip factors.